On Saturday, May 21, Pamela Smoller was awarded the prestigious $1,000 Chapter Vice President Glammy Scholarship Award at the 12th annual Glammy Scholarship Awards in New York City. 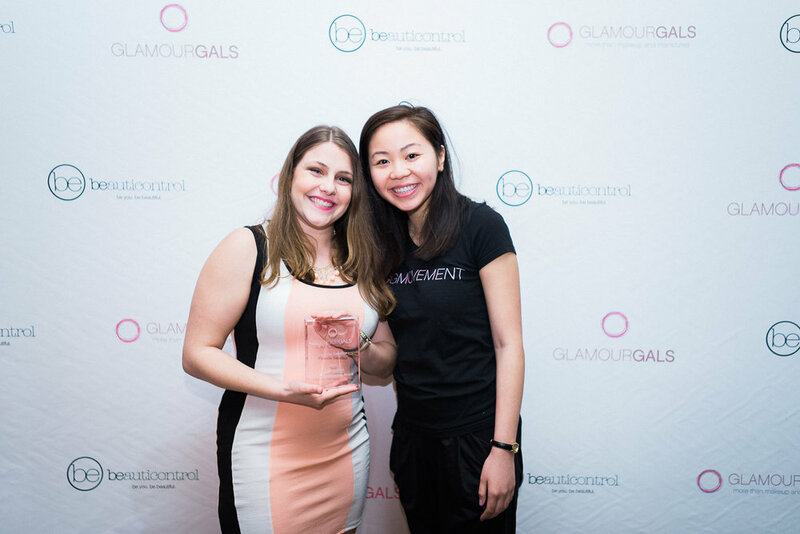 Pamela joined the GlamourGals chapter at Newfield High School in Long Island, New York as a volunteer in 2012. She then took on the role of PR officer before becoming vice president. Pamela's growing involvement and leadership within her GlamourGals chapter and community are truly inspiring. “When I joined the club my freshman year, I had no idea what I was getting myself into,” says Pamela. “I was looking for an easy way to get community service, but I quickly realized GlamourGals is so much more than that. It is so important to me because it has taught me how to be a leader as well as how to give back to my community. I feel so pleased with myself after I finish a makeover because I am truly helping someone who is often times lonely." Video credit to Dream Images. Pamela’s experiences volunteering with GlamourGals have inspired her to pursue a career in healthcare - a career where she can help others. She will be attending a physician's assistant program at King’s College in Pennsylvania this fall. You can find the press release announcing Pamela as this year's winner of the Chapter Vice President Glammy Scholarship Award here.